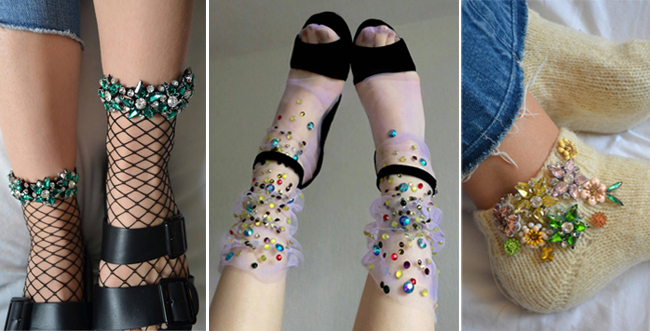 If the first thing you think of when you hear the word 'fishnets' is an unfortunate Halloween costume, then you haven't yet had the pleasure of seeing LirikaMatoshi's etsy shop. 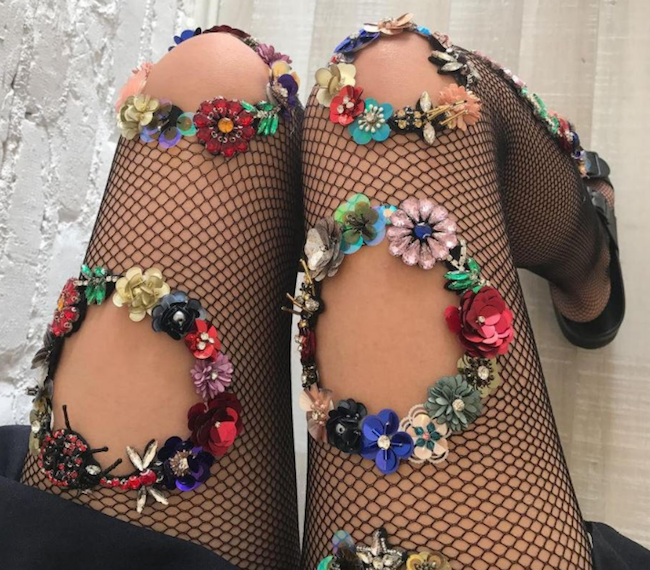 Colorful tights, socks, gloves and necklaces come to life through the painstakingly applied addition of flowers, embroidery and gems. Every shade you can imagine is ripe for the picking in her beautiful wares, which are almost more pieces of art than clothing. 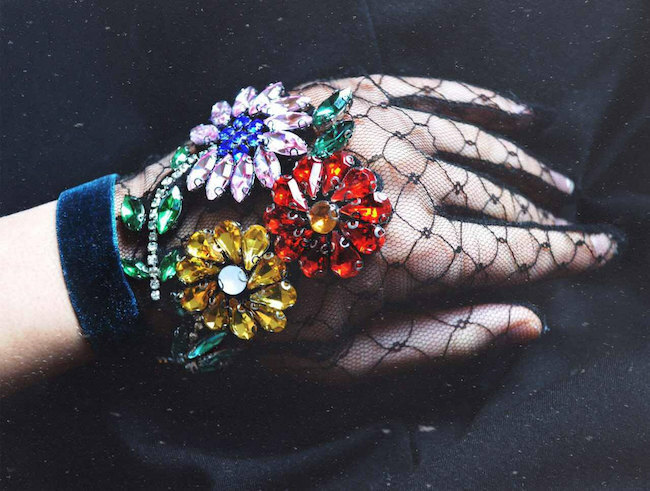 These accessories are the kind of fun, whimsical types you'd expect to find in an editorial photoshoot, yet could still be styled for your average special event or even regular wear. 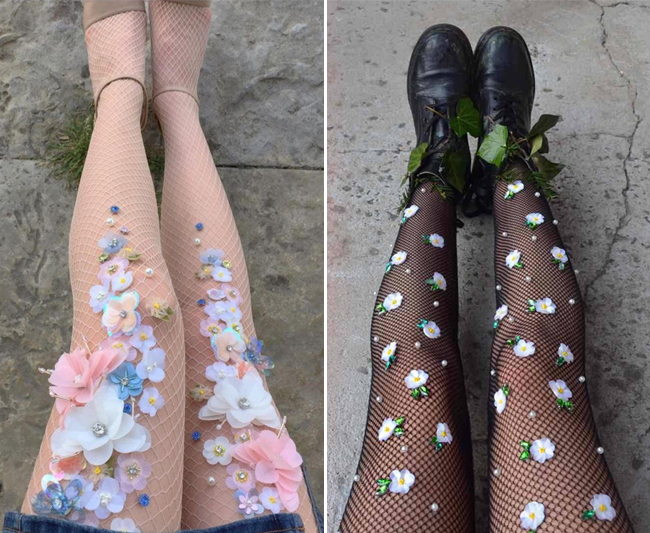 I particularly love her eye for detail placement, as some of these tights give the illusion that perfectly blooming florals just so happen to be sprawling down your legs. Every detail is perfection! I can't imagine how much time these pieces take to create - most feature quite a few beads, big and small, and attaching them to fishnets must be no easy feat. The results are gorgeous, and honestly probably too perfect to wear, but I can't help dreaming that they were in my closet anyway! 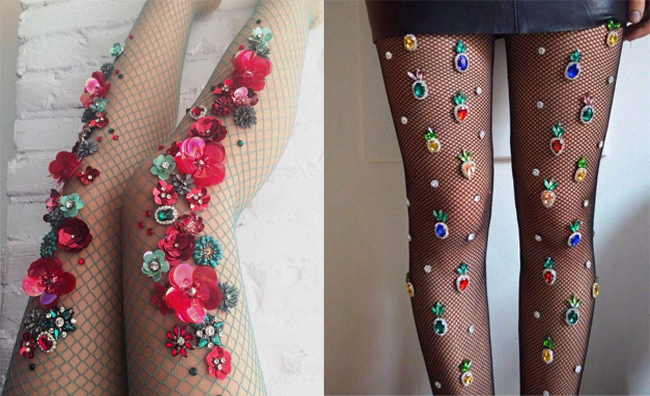 Have you ever seen these tights before? Can you believe the details?